Good Nutrition for Cats. What should you feed your cat? In our modern world it is very hard to decipher what exactly is the best nutrition for our pet cats. It is easy if you have a think about what your cat would be eating if he was wild and had to fend for himself. Also consider this; cats are designed as a desert animal – their system is meant to obtain their water intake from the foods that they eat. Then you will have a pretty good idea of what is the very best in cat nutrition. In the wild, cats hunt and eat small prey animals, birds and insects. This is quite obviously a diet that is quite high in protein. So you should consider it essential that your cat gets enough protein to maintain a good healthy diet. It can sometimes be difficult for us to accept, but the fact is that our gorgeous pet kitties are pure, 100% carnivores. To keep them in the very best health possible, we have to feed them as close to the natural food for cats as we can. What many people don’t realize is that cats can get feline diabetes from having a diet that is too high in carbohydrates. By constantly feeding your cat carbohydrates it can become insulin resistant and unable to keep its blood glucose levels at a suitable level. Some signs that your cat is becoming diabetic include drinking a lot of water and eating considerably more than they usually do. You might also notice a sign of weakness in the back legs as they tend to wobble a bit when walking. The only way to be sure whether your cat is developing diabetes is to give it a blood test. This is the best way to determine whether the cat has diabetes or not, although you can do a urine analysis to check blood glucose levels, but this is not as accurate. Unlike humans and other animals it is possible for cats that have diabetes to go into remission provided their diet has been changed with an elimination of high carbohydrate foods. More protein will help to stabilize the blood glucose levels. Dry biscuits is particularly bad nutrition for cats, as they are very high in carbohydrates from grain. Even though your cat might love eating cat biscuits, because of the additives and enhancements that have been put into these dry foods, it certainly won’t do their health any good at all. Dry cat food biscuits are around 10% water content and this liquid contains none of the nutrient dense water that is available in fresh raw food. Raw food is more like 70 – 80% water, and it is filled with nutrients and enzymes – all of which are vital for a cat’s good health. I hope this short article helps you to have an understanding of what is good Nutrition for Cats. Purina makes a Urinary Tract Health Formula Cat Food. Ha ha ha. The bags says: Purina One Cat Food helps maintain urinary tract health by reducing urinary pH etc. But all it did was give Caruso, my Siamese cat, the foulest diarrhea I have ever seen. We only lasted two days and now he is back to him normal food. Recommend anyone to take changes of food for their cat very slowly and be on the look out for adverse reactions. I think that any of us making our own homemade cat food should use a daily vitamin supplement as an extra addition. pretty essential in my book. I just wanted to comment and say that I really enjoyed reading your blog post here. It was very informative and I also dig the way you write! Keep it up and I’ll be back to read more in the future. I have been a regular reader of your cat blog. I find it very interesting when you talk about such topical issues. The latest information I have found frightening is the recalls of the contaminated pet food. So many cats dies from tainted pet food, and many more are destined to live a substandard life because they have been poisoned by the food. It’s is so incredibly sad! I’m really confused. I have 4 cats that have always been fed Science Diet dry. As Science Diet is considered a premium food, I am really concerned about switching them over to an inferior cat food. I honestly can’t afford Wellness or other top of the line brands of wet cat food. Hi LouLou – I would not recommend the brand of cat food you mentioned. My cats were on that at one point and it made two of them break out in rashes and they wouldn’t stop itching. Then I read the ingredients and threw the cans away. If you’re still looking for something high quality that’s affordable and that your cats will love, I’d recommend Natural Balance cans and Platefulls pouches. My cats love these and the ingredients are all natural, no fillers or by-products. 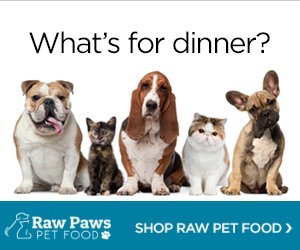 We get them online or at Petco and you can’t beat the amount of amazing nutrition you’ll be giving your cat for the price. And p.s. my cats haven’t had any skin problems since we switched to the Natural Balance food.